All three are UNESCO World Heritage sites and all three are AMAZING! 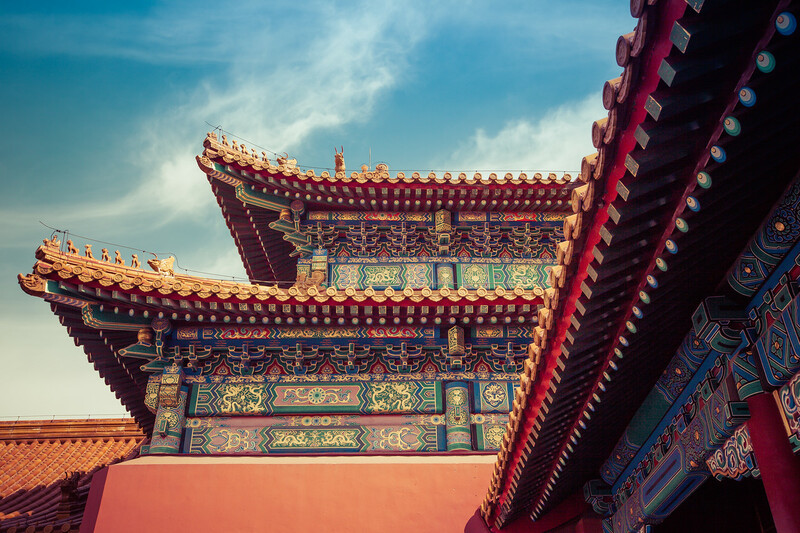 It’s honestly a wonder The Forbidden City wasn’t destroyed during the cultural revolution in China, but lucky for all the world, it is still very much waiting for your visit! Each time I visit China, I am reminded of the blessings of the elements. Wind is most usually the element that occupies my thoughts. The air in China is something out another time. I have always had trouble deciding if it is America’s own industrial past or some dystopian version of the future. As we recovered our lung health, so too must the Chinese. The culture is wonderful and mesmerizing to be so hampered by environmental degradation. I am also thankful, despite the choking pollen, to come home to a part of the country that has moderately clean natural resources. Oh how previous these are and we have to fight to keep them clean and available for all people to use freely! The Forbidden City in Beijing is PACKED with throngs of tourists. Despite this, there tends to be peak areas of concentration where the masses congregate in places as truly sprawling as The Forbidden City. Sometimes you are lucky (especially if you are early enough) to find open courtyards almost completely devoid of people! Always have you camera at ready, you never know when these opportunities will be disrupted by an ill placed tour group. I only had to remove about 5 people in photoshop for this shot and they were far off in the shot, making them really easy to remove. Beauty has its place. Function is evident all around us. Perhaps that is why I so enjoy the ideas of Pop Art (sometimes the execution was lacking). Finding beauty in the form and function of every day items. 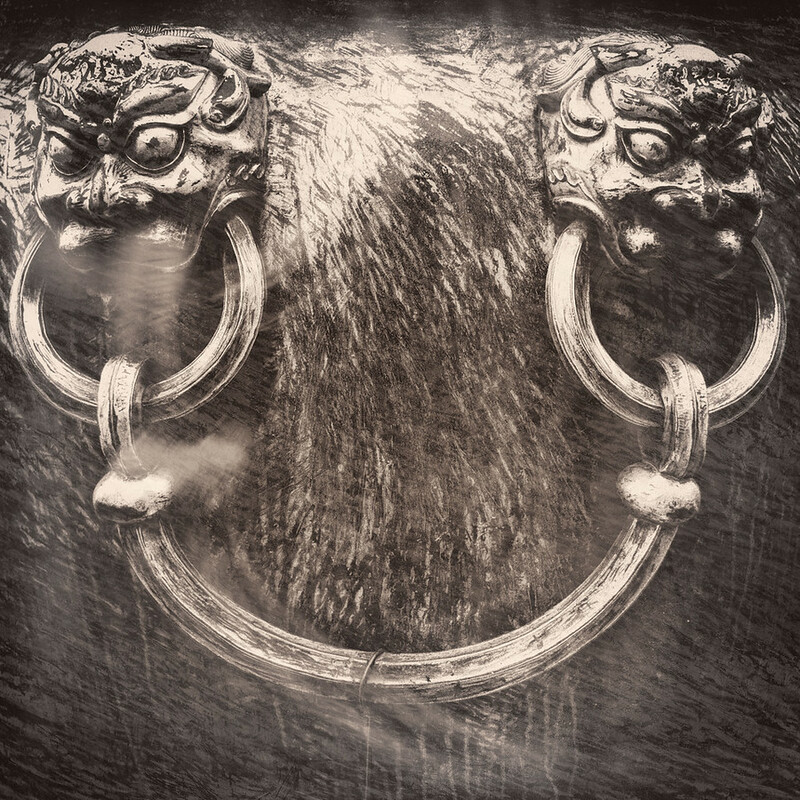 Perhaps this giant cauldron in the Forbidden City of Beijing, China isn’t exactly an every day item (they are gold guided after all) but they are an expression of both ideals. This process is an experimental combination of things. The idea isn’t original, but then all art is derivative right? The execution is all my own. Enjoy the beauty in the world, it is all around, just waiting to be explored! Perhaps if you but look, you too can find a whimsical joy in the world. 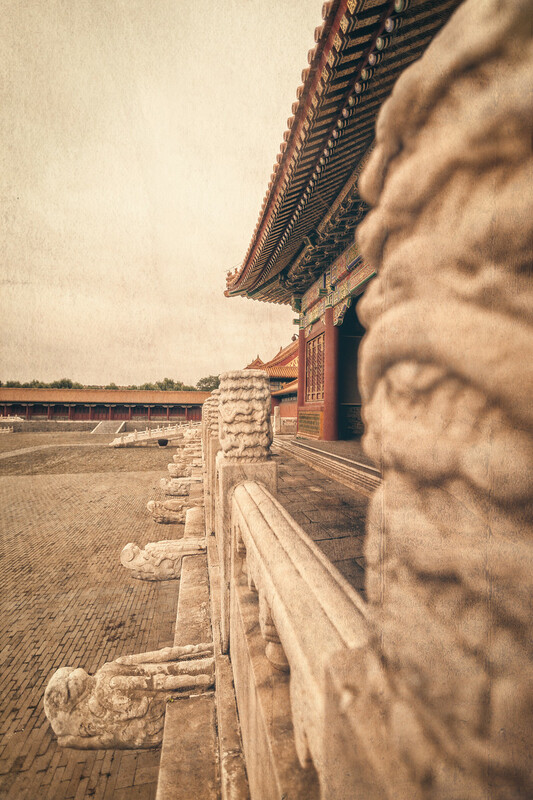 The thing that struck me while wandering The Forbidden City (after ALL THE PEOPLE) was the vast amount of ancient artwork with was around the palace exposed to the elements. This slab is one of those amazing examples. They do have it carefully blocked off so tourists don’t walk down the delicate stairs, but I found myself wondering about the preservation of truly priceless cultural and artistic treasures that were designed to live outdoors. Does it effect the beauty of something when it is removed from its purpose and placed in a museum? Does its purpose inform it’s value to society? I’m not sure I know that answer. 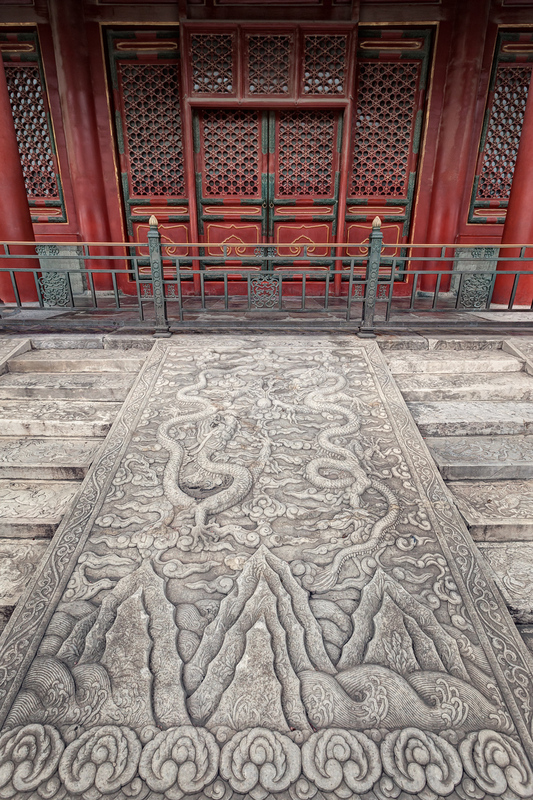 What I do know is these carvings in The Forbidden City are wonderful. I almost never include people in my photos. I tend to focus on the history of a place, it’s details and what it feels like, but I generally exclude people. I couldn’t help myself on this one. 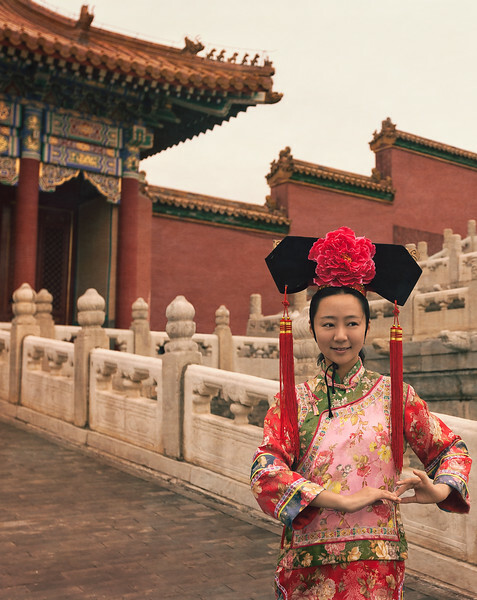 This girl was having a really fun time playing dress-up in The Forbidden City costume shop, and got completely decked out in a traditional costume. She only posed for a second, but I caught the most wonderful hand gesture she made while in full regalia. 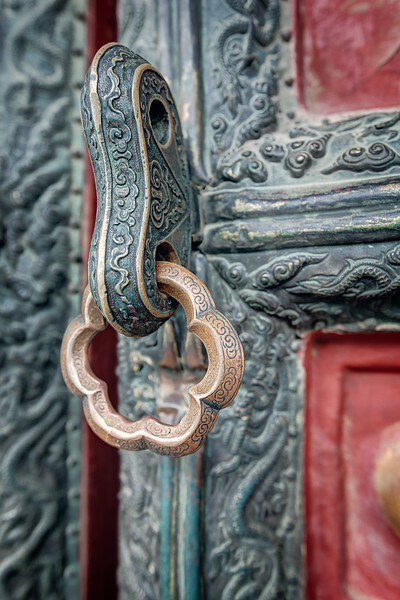 China is difficult to describe to those who haven’t been. I have a bit of trouble describing it to myself and I have been many times now. It is a vibrant place…there is an energy there and you immediately feel you are where IT is happening RIGHT NOW. I spent my time visiting the ancient sites (some of them) in Beijing. 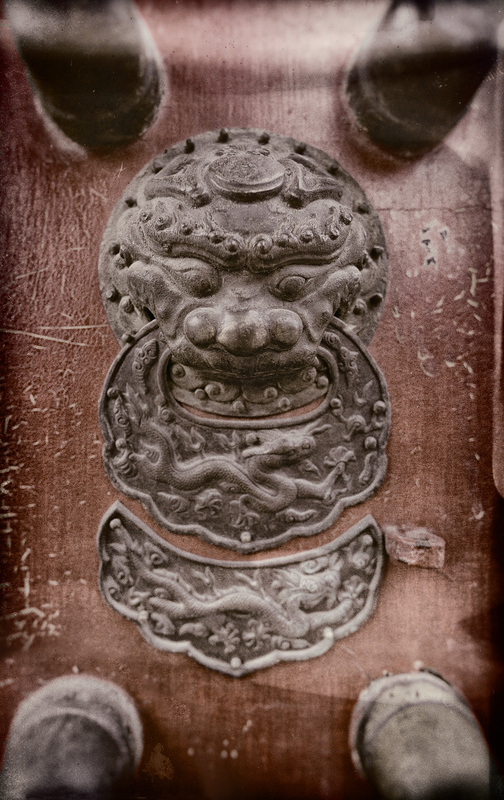 This is a latch on a door screen leading to one of the buildings inside The Forbidden City. The entire site is very well preserved with many of the buildings undergoing restoration currently (and I think continuously). Much as modern construction moves forward, so to does it allow the Chinese to remember their heritage.